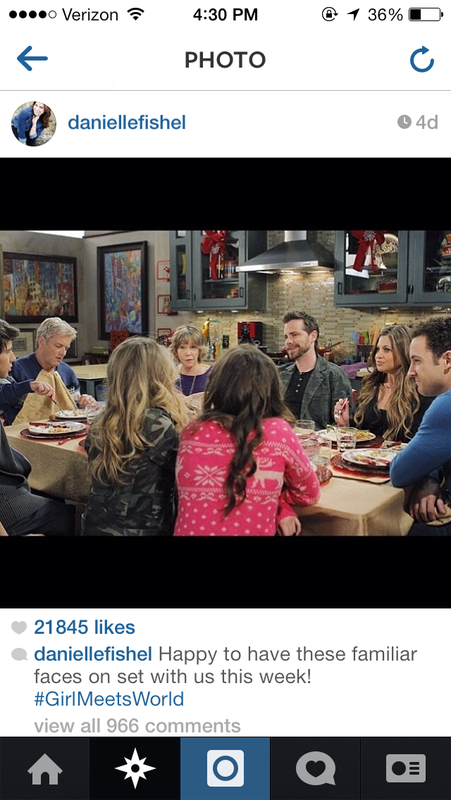 Girl Meets World hasn’t even premiered yet and it’s already my new favorite show. For anyone who has been living under a rock, GMW is the spin-off of 90s sitcom Boy Meets World. Yes, that’s right, Cory and Topanga are back (and have two kids!). The show stars their daughter Riley, and her best friend Maya as they navigate their way through 7th grade. The Matthews also have a son named Louis (too bad they’re not named Chewbacca and Plankton like Cory feared Topanga would want to name her kids in early seasons of BMW). SHAWN’S BACK! Cory’s best friend Shawn will be back on our TVs and I think we should all cross our fingers that they both remember their infamous handshake. Once you recover from the Shawn news and look at that picture again, you’ll see Cory’s parents are back too. You know they’re just going to be so proud of Cory and Topanga and their life in New York. Ugh, so many feels right now… and that’s not all! Minkus is back, and I can’t wait to see what he has been up to. And in the spirit of saving the best for last, I can also tell you Mr. Feeny will be the pilot episode. Yes, FEENAY FEE-HE-HE-HEENAY! Cory is a teacher now, so I’m hoping that his longtime neighbor/teacher/principal has returned to give him some advice. GMW does not have a premiere date yet, but if the on-set pictures are any indication, it’s well worth the wait.